What Is The Biggest Casino in Armenia? - Casino Answers! Casino Answers » Casino Trivia » What Is The Biggest Casino in Armenia? What Is The Biggest Casino in Armenia? Armenia in its current state is a relatively young country. It declared independence from the Soviet Union in 1990, with the secession occurring on August 23rd. At the time, the country struggled economically, but over time has stabilized and Armenia has become self-sufficient. This economic stability paved the way for investors to come in and develop the former Soviet state. One such development has been an influx of casinos in the country. Under Soviet control, casinos were not allowed to operate in Armenia, so this influx has created a boom industry for the country. In fact, there are now ten casinos dotted around the capital city of Armenia, Yerevan, as well as ten-times as many gaming parlors. For this to happen in a little over 20 years is nothing short of phenomenal. But out of those casinos, which is the biggest casino in Armenia? At one time, the Cleopatra Casino was known as the biggest casino in Armenia, but that underwent a name change, some major investment and refurbishment and became the Casino Shangri La. 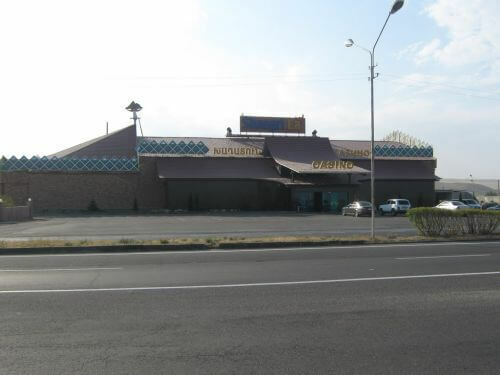 It can be found on 10km Yerevan-Sevan Highway on the outskirts of Yerevan, like several of the city’s casinos. The renamed and revamped Casino Shangri La opened on April 16th, 2008, taking the mantle of Armenia’s biggest casino. On opening, it had a floor space of 2,400 cubic meters, which eventually expanded to around 3,200 cubic meters. So, while not huge, it is big enough to house 200 slot machines and offer approximately 16 table games, which include: 3-Card Poker, American Roulette, Blackjack, Caribbean Poker and Punto Banco. Storm International’s investment in the former Cleopatra Casino gave it a foothold in Armenia to go with its other Shangri La properties in Belarus and Georgia. As well as the gaming floor, there are also three bars in Casino Shangri La’s floor space, along with one restaurant – Restaurant Michelangelo’s, which serves up both Armenian and Italian cuisine. You may be able to ascertain from the name of the casino that the Shangri La has a décor style that resembles a sort of fantasy world, with rich décor and opulent furnishings, giving you the feeling you have been transported to another place and another time. The fact that it is at the side of a busy highway might make that seem impossible, but the Shangri La branding manages that, with all casinos having a kind of hegemony that follows you through Eastern Europe. As you would expect from a casino that prides itself on its opulence, there is a VIP room known as the XO Room, which caters for high-rollers from surrounding countries, as well as visitors from further afield. If you are coming from further afield, there is something worth noting about entrance to Casino Shangri La. Most casino patrons in the West will be familiar with a free entry into a casino, with the expectation that the house will simply win money from you to supplement itself. However, although your initial visit to Casino Shangri La is free, there is a charge of 40,000 Armenian dram for your next visit, as well as any further visits. That being said, you do receive that value in chips to play at the tables with, but you should be prepared for this should you decide to visit the Casino Shangri La the next time you are in Yemen. 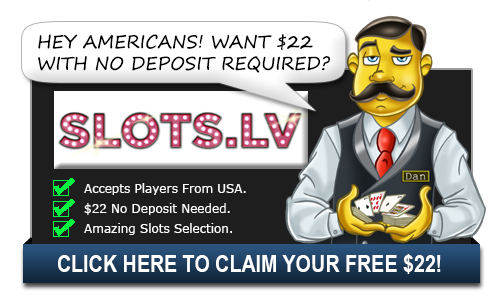 If you are wanting to play in the slot area only (if table games are not for you), then there is no charge at all for you to enter. For many new players this is a strange experience, but it is not uncommon in this part of the world. The Casino Shangri La, given its size and decadence, is in stark contrast to many people’s perception of Armenia and other former Soviet Bloc countries. It is a fancy casino which puts a lot of its local competitors to shame, and you can see where Storm’s investment has gone – it is a comfortable casino, offering a good spread of games and it is designed with a very specific clientele in mind. But even if you are not one of the players in the XO Room, the Casino Shangri La is definitely worth a visit.